Egger 7mm Mansonia Walnut - EPL109 is a 7mm thick laminate floor that is 192mm wide and comes with a AC3 rating. Each plank measures 1292mm long. This floor replicates the appearance and character of real wood but with the durability and easy installation of being a laminate. Being hygienic and easy to maintain this floor also has a high UV resistance which protects it against any potential fading. It also has high impact and anti scratch properties when compared with other types of floor coverings. All 4 sides of each plank have a milled bevelled edge which defines both the width and length of each plank across your elegant floor. 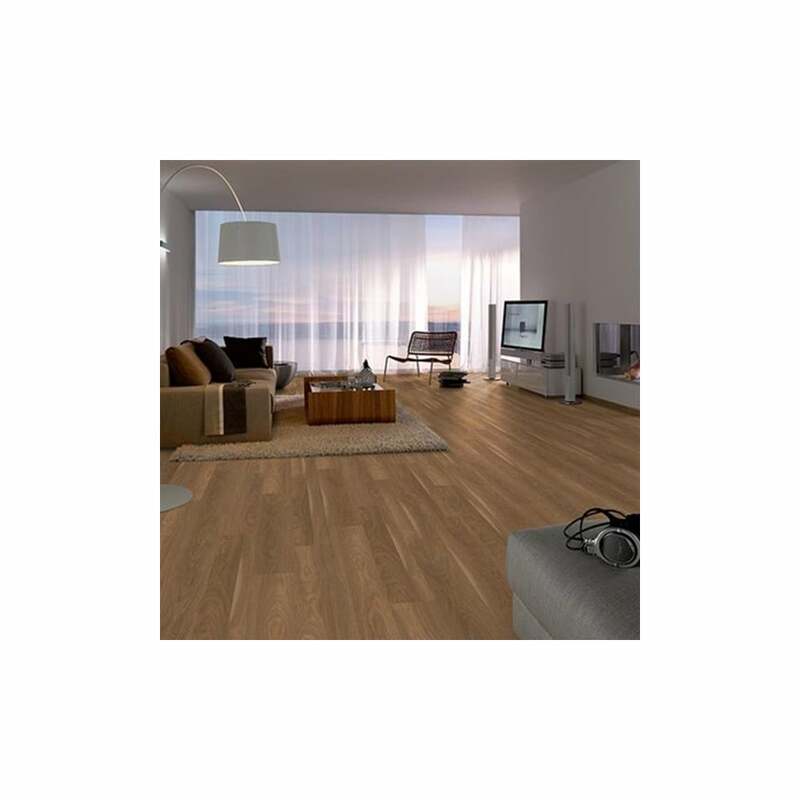 Buy Egger Pro Papaya Walnut 7mm laminate at Discount Flooring Depot today!